My name is Wayan Juli. Actually, my full name is I Wayan Juliana. Wayan is a family name for the first child in Bali and Juliana is the name given by my parents because I was born on July. So, it's very easy for people to remember my name. Many thought that I was a female because of my name sounds a bit like a female's name. But I was a male. I was the first child and the only one in my family. I started showing tourist around, since I was in University in the year 2008 as a part time job to help one of my cousin who also work as driver and tour guide. From him I learned how to be a good driver and how to be a good guide. To earn money actually was the first reason why I did the job. I needed to pay for my studies at that time and also to help my family income because my parents just work as farmers. 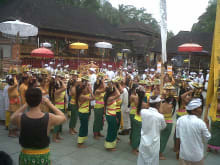 However, the more I took tourists for a tour, the more I felt that this job made me more proud to be Balinese. I find that working as a Bali driver and tour guide and experiencing the deeper and hidden part of Bali is quite enjoyable as I have more chances to personally meet people from various areas, cultures and intellectual backgrounds. 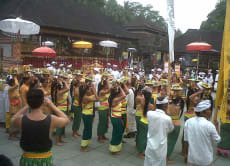 I will make you discover and explain many things about the island of Bali. Not only because of money, but more than that. 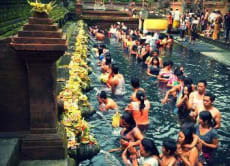 Showing people around to see the real Bali is my personal satisfaction. Having a new friend from another country, knowing a bit of their stories about their respective countries. This makes me even more excited to lead this job. So, what are you waiting for? Come on join me to be Balinese and to explore the hidden part of Bali!